The entire Masada National Park, including both the east and the west access points, the sound & light show and mountain theater, are all accessible to visitors with mobility, sight and hearing disabilities. The new cable car and Masada theater are wheelchair accessible. The site incorporates various demonstration techniques and 3D models to enable blind visitors to explore the historical site through their fingers. Gates close one hour before noted closing time. The Masada visitors center offers a variety of activities including: a museum that displays archeological findings in a 3D theatrical setting, cinemas that present the story of Masada, a model of the site, an auditorium for ceremonies, and a commercial, recreational and food complex. Hours: March-August – shows are held on Tuesdays and Thursdays at 9 PM. September – August - shows are held on Tuesdays and Thursdays at 9 PM. This spectacular sound & light show is projected on the western side of Masada mountain. It is 50 minutes long and retells the life and heroics of the people who lived on Masada. The site can be reached via Arad only (approx. 25 minute drive from Arad). 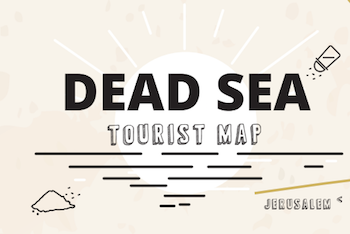 Visitors arriving from the Dead Sea will not be able to view the sound & light show. There is no road connecting the east and west entrances to Masada. Driving time from one side to the other is approximately 75 minutes. Masada jeep rides include stops at observation points so that visitors can absorb the spirit of the desert and take in the breathtaking landscapes. There are plenty of jeep trails in the region, some steep and others more level. Jeep rides are suitable for couples, families and groups. Telephone: 08-6593602 –for questions, reservations, and requests for earlier or later cable car rides. Hours: The site opens to hikers one hour before sunrise. The site closes one hour earlier than usual on Fridays and holiday eves, and at 12:00 on Yom Kippur eve. The site is closed on Yom Kippur. The cable cars take visitors to the top of Masada. The lower station was built at the foot of the mountain and is part of the recreation and shopping area at the Masada National Park Visitors Center. The ride is 900 meters and 3 minutes long and the difference in altitude is 290 meters.